PODCAST 409 FINDS OUT IF AR IS COOL AF! Hey guys! 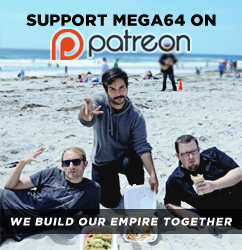 After a craz week at Mega64 Headquarters we found the time to film our 409th podcast! In this episode: We find out when it's ok to hit someone. We also review Dont Breath, and believe it or not Microsoft gave us a Hololens, we give you guys a sweet tech demo! Click here for the audio version! That's all for now! See you next week!!! !